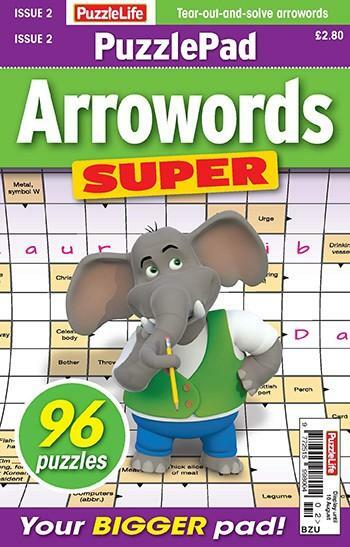 PuzzlePad Arrowords Super It's an extended concept in puzzle pad range – a larger format of the chunky pad of puzzles that you can tear out and solve at your leisure. PuzzleLife PuzzlePad Arrowords' 96 puzzles are crammed with star arroword, anagram arroword, code arroword and more, making it just the thing for the puzzle fan who's on the move – or, of course, who fancies sitting down to solve a pad of puzzles! Be the first person to tell us what you think about PuzzleLife PuzzlePad Arrowords Super and you'll save £2.50 on your next purchase!